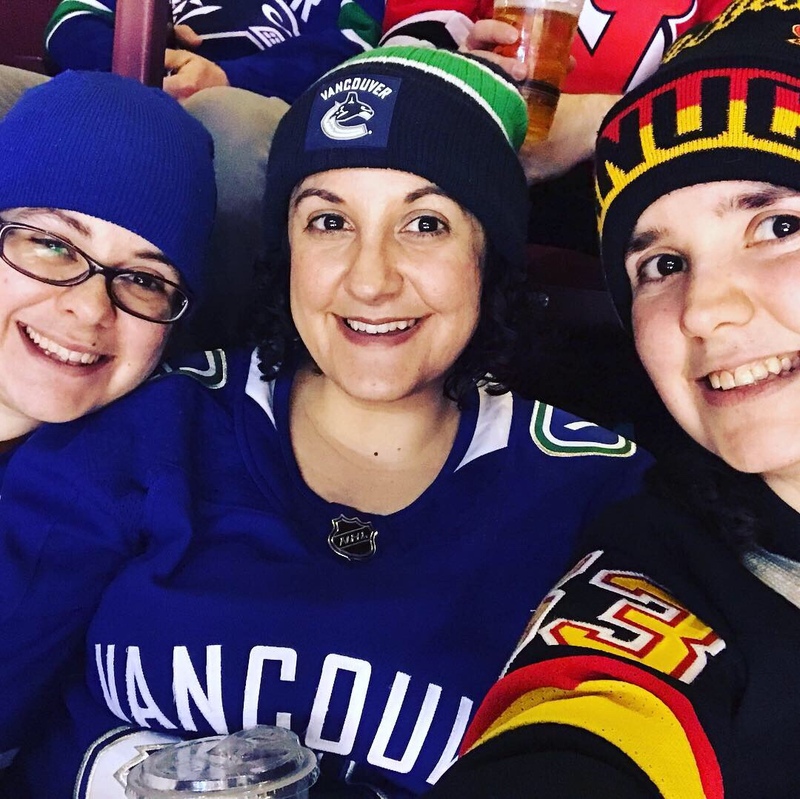 There are a lot of things you can say about the Vancouver Canucks and the fact that their season has once again ended before the post-season. And trust me, I’ve heard that and many other takes on this season, largely leaning towards the negative. And I’m sure there will be many more that debate the season that was, just remember that those debates do not tell the whole story. So yes, in summary while there are no playoffs, there were still some great moments and glimpses of what is to come in the near future. This season was one that most wrote off before the puck had even dropped. Many said that without the Sedins, the season would be a lost cause. Yes, the season has come to an end but it was not a write off or a lost cause. This season was all about growth and development of the young core. This season was a massive step forward, one that saw the youth lead the way and ignite passion back into Canucks nation. His first goal, on his first shot in his first game. It was thunderous in the arena when he scored that goal. The crowd loved it and his reaction to hearing his name being chanted by the crowd was priceless. To say, he set a high standard and lit hope anew in Canucks fans is putting it lightly. 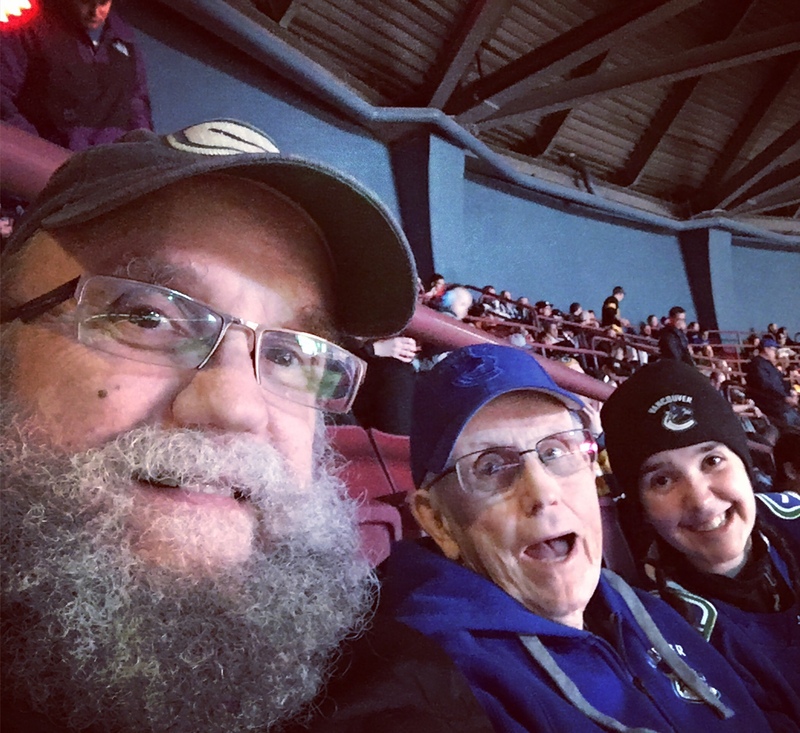 October was also memorable because it marked bringing my Grandpa to his first ever Canucks game. He got to pick the opponent and chose the game versus the Boston Bruins. What a game that was! The Canucks won with an overtime goal from Bo Horvat. It’s a game and a goal that my grandpa STILL talks about 6 months later and is already planning coming up for another one! It’s a game that I’ll always remember and carry with me. And what about that penalty shot goal versus Nashville?! Sensational right? Crazy to think that prior to the season many wondered if he could have success at the NHL level. Any doubters have since been silenced by his finesse on the ice. Hat tricks are always a treat to see AND Canucks fans were treated to not one BUT two from two of their most promising players in Brock Boeser and Elias Pettersson. Boeser scored his second hat trick versus St.Louis when him and Pettersson combined for EIGHT points. Pettersson’s first career hat trick capped off an overtime victory versus Ottawa. Their chemistry on and off of the ice this season has been a treat to see develop. Games against Toronto on home ice are always entertaining and bring out a crowd that is usually 50% Canucks fans and 50% Leafs fans. This year did not disappoint, it was a very split crowd. For 40 minutes the Leafs were in control, until the Canucks found a way to tie it due to a stellar performance from Markstrom and setting up an exciting overtime game winning goal from Alex Edler. Speaking of Edler, I know he takes a lot of heat from fans but nothing can take away from him becoming the ALL-TIME leading scorer on the blue line in Canucks history and surpassing fellow Swede, Mattias Ohlund in the franchise record book. He’s given a lot to this team over years and that should be noted and appreciated. (Heart and soul player). Another heart and soul player that gave his all was Chris Higgins. He scored some memorable goals during his time here and it was a pleasure to get the chance to meet him and talk about his time as a player. One of my favourite parts of the season is always getting to see the Canucks play on/around my birthday. Every year, we pick the game that is either on my birthday or closest to it, and my family gets geared up and attends the game. This year was no exception. As per tradition, we got tickets, and another birthday was spent in the rink. 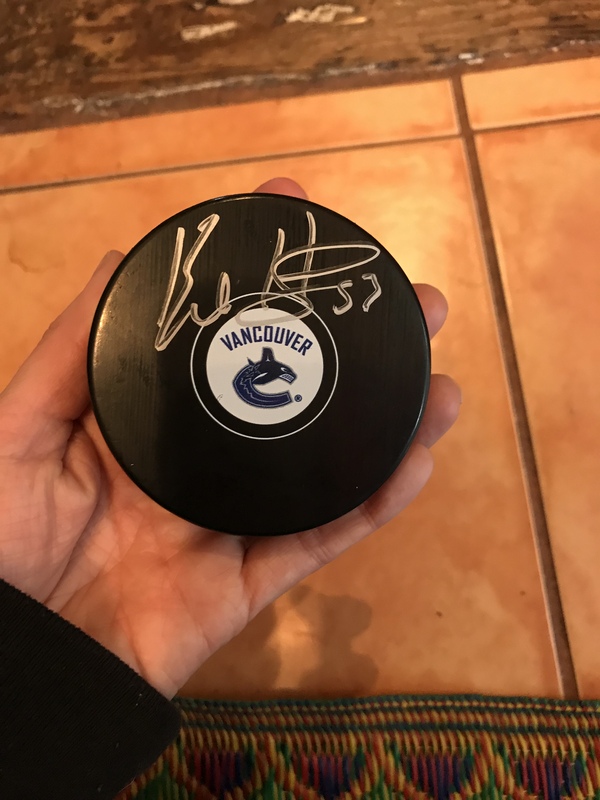 (You know your favourite team gets you when their birthday surprise for you includes a signed puck from your favourite player!). We have to talk about the continued progression of Bo Horvat who has evolved from his draft year into a true leader on and off this season. This season he picked up the mantle left behind by the Sedins and carried it proudly and set a new career high in points(61). Every interview, every game, in the community, he was the epitome of a class act and embraced the role as captain even without the official title. (It’s pretty unanimous among Canucks nation that he will be named the next Captain of the team). Elias Pettersson brings the arena to his feet every single time he makes a dazzling play but he’s not the only rookie turning the heads and hearts of Canucks fans. Highly tauted Quinn Hughes made his debut over the final games and gave the fans a glimpse of his ease skating, playing with/without the puck, and quieted any question of whether he was ready to jump to the NHL level. The best part since he debuted, was seeing him with Pettersson and Boeser in overtime dominating in breathtaking fashion…I could definitely get used to seeing those three play together for years to come! This post wouldn’t be complete if we didn’t talk about Markstrom taking his game to a new level this season, particularly since December. It was remarkable to see him embrace his position and tune out the critics. 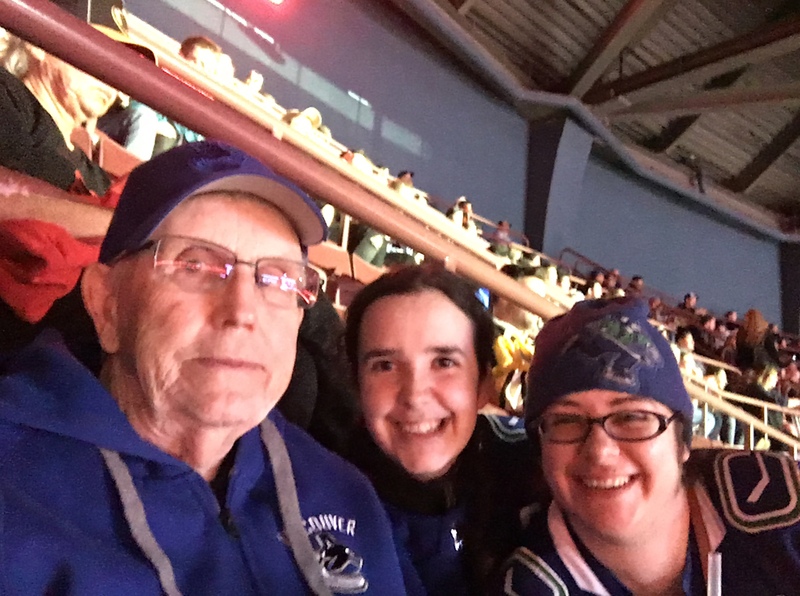 He kept the Canucks in many games, like one of his final games of the year versus Dallas in which he made 46 saves INCLUDING 8 in the shoot out. His progression has given the Canucks room to not rush Thatcher Demko as he continues to grow in his game. By the end of the season, Demko seemed to have settled in and looks to take another step forward next season. How fitting is it that Elias Pettersson scored the Canucks opening and closing goals of the season? Full circle for the Calder leading rookie. Sure the season was far from perfect but it was a massive step forward that saw competitive games down the stretch and gave a glimpse of a very promising future for the team’s new emerging core. The future looks bright, are you ready for what comes next? Stay tuned for upcoming ROUND TABLE discussions, draft updates and coverage throughout the offseason! See you all at the Draft in June! 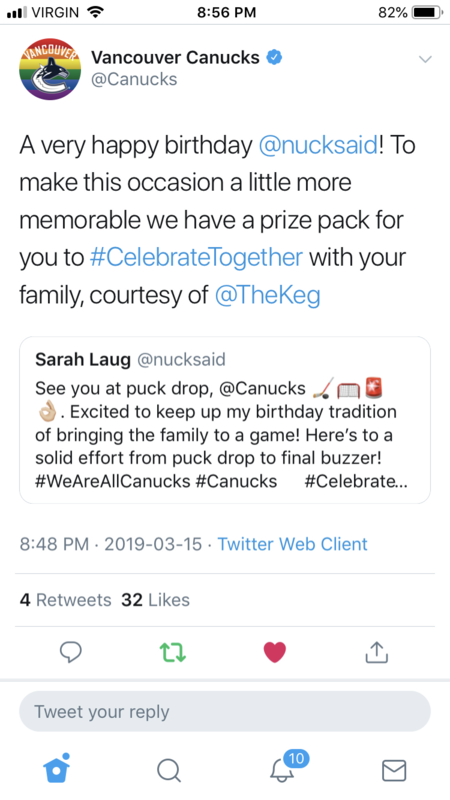 This entry was posted in Vancouver Canucks and tagged 2018-19 regular season, hockey, NHL, Vancouver Canucks by sarahlaug. Bookmark the permalink.